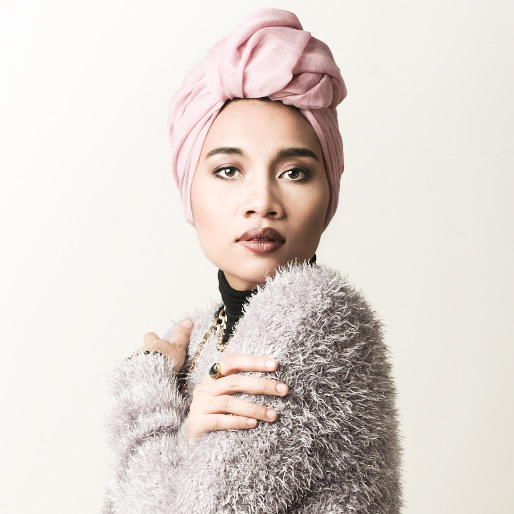 Ever since "Live Your Life" I have lived for Yuna's sophisticated approach to soul. Her last album, 2013's Nocturnal was just fantastic, its criss-crossings of indie pop-folk, soul, and R&B hinted at the Malaysian singer/songwriter's seamless chameleonic talents, as well as upheld her faculty as an agile, and insightful songwriter. While "Places To Go" won't make it on the standard version of her upcoming third album, Chapters (out May 20th), the DJ Premier-produced track hints at Yuna blending into yet another shade of sonic fancy. Still there is no need to panic! DJ Preemo may provide her with a taunt beat that is flecked with syncopated drums and glimmers of hip-hop's golden era, but Yuna, is still Yuna. She's still spun sugar sweet and still as candid and introspective as ever as she eases out an effortless song about growing into one's identity and of the difficult, but exciting challenges that come with such maturation. It's a good look for her, and one that Yuna is excited to share, as she voiced to Fader that she figures "Places To Go" to be "one of the best songs she's written in a long time". No arguments there. It's anyone's guess what Chapters as a whole will entail, but guest appearances from Usher and Jhené Aiko and a promising first listen that shows growth on Yuna's part have piqued interest for sure.